CouchTuner is a website that offers free TV streaming and has done so since early 2010. The website started out as a .com and has since expanded to dozens of country-specific domain extensions. With a an extensive collection of popular TV shows, all hosted right on the site, CouchTuner has become a popular place to watch TV. However, if you are considering using it, it would be a good idea to understand what you are about to access. Couch Tuner is a pirate website that offers pirated media for streaming. 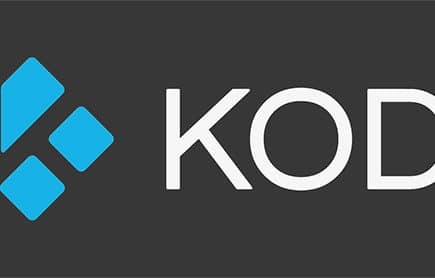 The site primarily focuses on providing TV shows like Californication and America’s Next Top Model in a format that works with Kodi devices. With no other content on the site but TV shows, part of its appeal is that it’s easier to surf and find the shows that you like. None of the content is organized by season or episode, resulting in difficult navigation. The material is usually there, but it can take some work to find it. This lack of organization means that if you find a show by name, you will still have to sort through by hand to find the right season and episode. Worse, you will have to do this each time you watch a new episode as there is no autoplay feature. No. 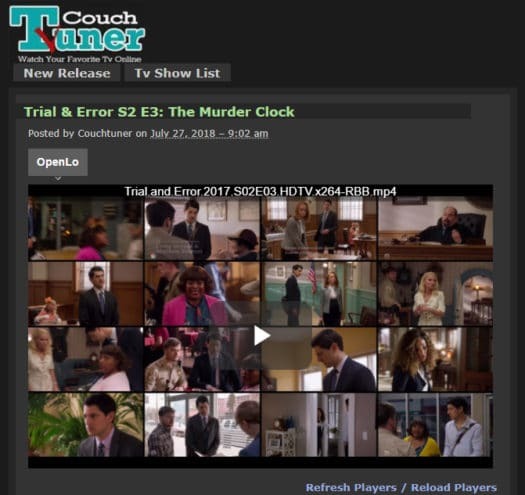 CouchTuner is a pirate site, and all of their TV episodes appear to be illegal. This can result in legal repercussions for you depending on where you live. In the USA, you would be most likely to be affected by the 6 strikes law. This law allows your Internet Service Provider to cripple your bandwidth if they catch you streaming pirated media. In the United States and Europe, you could potentially face criminal charges or be sued for streaming TV shows that you know are pirated. This is especially true in England, due to government sanctioned spying on British citizens. In fact, CouchTuner has been targeted by the British government multiple times in the past. 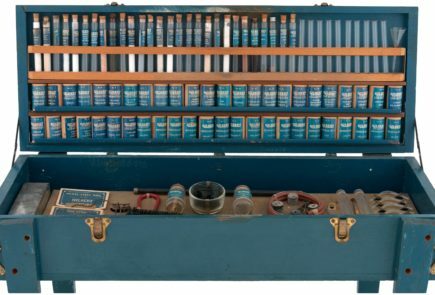 Couch Tuner has a long history and, for the most part, they have been reliable. In the past, there were some instances of viruses and malware being injected through ads on the site but, as a general rule, the actual video content was safe. However, in our last test there was no content and the site attempted to install malware instead of streaming a video. If you are streaming on the site, make sure that you don’t click on ads and that you are running quality firewall and antivirus software. While browsing the site, you may see ads asking you to update your media player or to sign up to access content. These are intentionally misleading ads for malware and don’t actually have anything to do with the site, aside from the fact that they make money from those ads being there. If you do click on these ads, you will be taken to download malware rather than to update your media player or sign up for the account. CouchTuner does not require you to have an account to watch movies on the site, so do not fall for this trick. CouchTuner, like most other free TV or movie streaming sites, is not legal. It can also can pose a risk to your computer, and streaming on the site could result in legal or fiscal repercussions. If you need free or low-cost options to stream your favorite TV shows then solutions like Netflix, Amazon Prime, and Hulu are all pretty low cost. You can also go on eBay to look for TV show lots, which can retail for as little as a few dollars for entire seasons of shows. While nothing beats the convenience of having free and on-demand television, these sites do break the law. And that brings us to our final thought. With a site like CouchTuner, one has to question how they have been online since 2010. It’s a physical impossibility that those with relevant copyright interests never became aware of the site’s existence. Do they not care because they aren’t losing that much on some site streaming TV shows? Do they like that CouchTuner exists because it encourages greater interest in the TV shows and helps fans become more involved with a series and hence more likely to watch new episodes that the networks control? Or did they already quietly seize the website and are using it to collect tracking information? Odds are it’s one of those first options, but I would never recommend that anyone use one of these sites without a VPN and doing a system clean with something like Clean My PC. Think of it like taking a shower after you come home from a dive bar on the bad side of town. You could probably skip it, but do you want to? Aside from taking those precautions, CouchTuner appears to be a long-running and stable source of pirated TV. If you’re in to that sort of thing. Actually, none of the shows on any of the CouchTuner sites are hosted on their servers. They just provide links to other sites where the videos are.